This is Guman Udom Zub 85, Remind Monk Age 85, Be.2545 was made by Luang Phor HONG of Wat Phet Buri (from Surin, Thailand) in B.E.2545 (2002) and made of Bronze mixed. Power of this amulet will bringing owner has a Gambling wealth Lucky. Why Thai's amulets is best? In thailand people was believed the vintage stuff which have been blessed by either the older generation master or monks will be sacred. Reason why most of the THAILAND amulets considered to be the best supernatural power. The great Thai monks or master have mastered the the ability to moveing, transforming or intensifying energy and this is the basis upon which many believe power is pass to the amulet and what makes one amulet more powerful . This concept is not thought to be in anyway supernatural by many Thais, but considered WICHA or magic, a fundamental natural law of nature. The Thailand's amulets becomes very popular and to believe in the sense for Asia. Now many celebrities and famous people wear amulet like this one because Thailand's amulets is the one of the best protective stuff of asian. 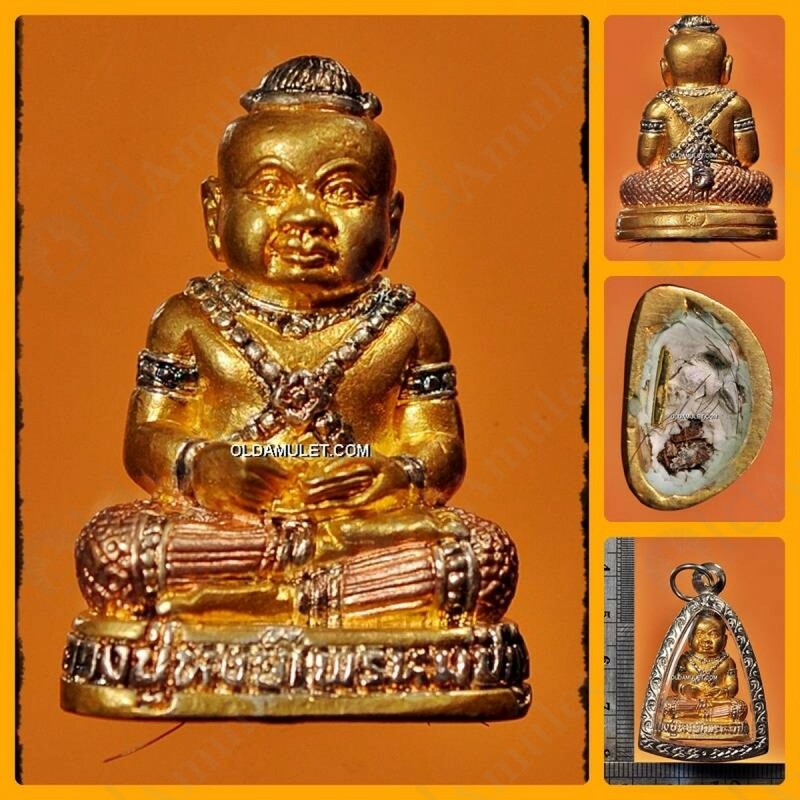 It is believed that the one, who wears it or hang it in his house, will be protected from the Evil Eye and Main effective of this X1 THAI SACRED AMULET GUMANTHONG BOY SPIRIT GHOST LP HONG is known to offer Gambling wealth Lucky. This piece come in USED condition but still nice and beautifully piece, no Damaged. Them really excellent value for your money.